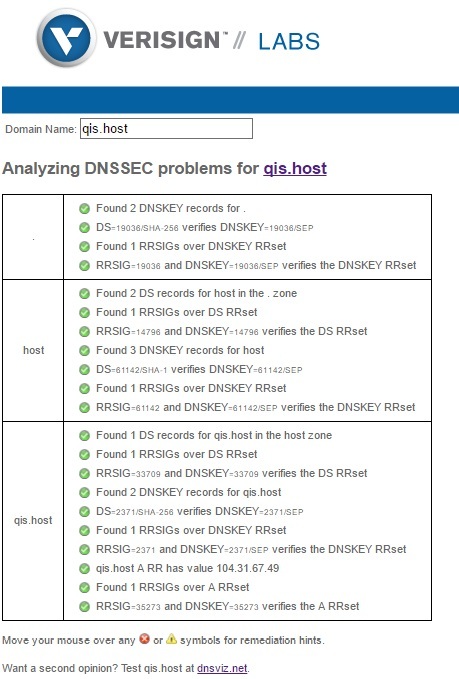 We enable DNSSEC security for our domain QIS.HOST, now you can bee sure that you in true QIS website. DNSSEC was developed to ensure the security of customers from fake DNS. All responses from DNSSEC has digitally signed. DNSSEC protect data what published in the Domain Name System , they including all text records (TXT) and mail exchange records (MX).